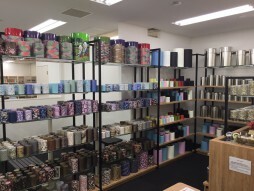 In September, 2016, we opened a wholesale showroom in Asakusa, Tokyo. Our actual products are on display here and can be handled to confirm quality and other characteristics. 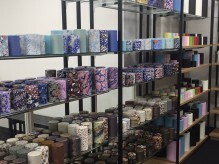 Please note that this is a showroom only, and wholesale quantities are not available at this location. If you wish to visit us, please check the calendar below and be sure to contact us in advance. 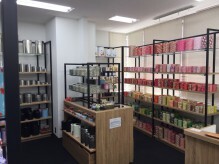 In April, 2017, we opened a Retail Shop next to our showroom. 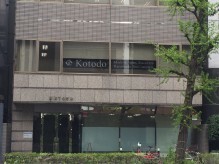 Manufacturer direct sales ensure that Kotodo’s full line of Japanese tea tins, canisters, and accessories is available. All items are Made in Japan! You can freely choose from over 1,000 items. Note: We are currently unable to sell duty free, nor are we able to provide gift wrapping services. Product information and explanations in English are not always available. If possible, please come with a Japanese speaker. Otherwise, be sure to arrange an appointment several days in advance. 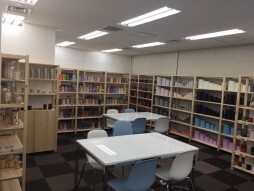 Located on Edo-dori (National Highway 6), on the second floor of the building between the Toyoko Inn and 7-11. On the right side as you enter.